Note! Always specify width and height with an added 3-5 cm margin to allow for a crop area. Due to our fixed start-up costs, the minimum billable measurement of wallpaper is 3 m². The photo wallpaper is a stable and durable non-woven type wallpaper. 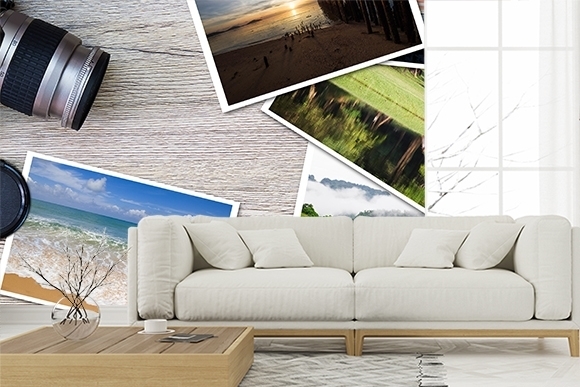 The photo wallpaper is printed specifically for you and your wall dimensions. The adhesive should be applied directly to the wall (non-woven glue) and the wallpaper is placed edge to edge. Above, you can simply fill in your measurements and move the frame to crop the photo wallpaper from your wall measurements. If you have any questions related to wallpaper proportions or anything else, please contact our customer service. We will be happy to help you! Installation: The paste is applied to the walls and the strips are hung edge to edge. Instructions are supplied.